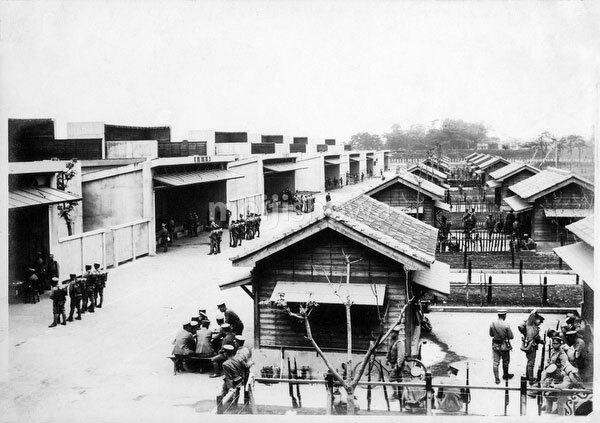 Toyama Firing Range (戸山射撃場, Toyama Shagekijo) in Okubo (大久保), Tokyo. In 1874 (Meiji 7), what was then called Toyamagahara (戸山ヶ原) was requisitioned by the army. A shooting range for the Imperial Guard was established here in 1889 (Meiji 22).